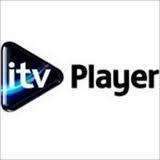 ITV Player on iOS is ITV’s new video catch-up service for mobile and tablet devices. This is the first iOS application that allows you to view ITV programmes on your handset – we hope you enjoy using it and would love to hear your feedback as we enhance the application. To use this application you need a mobile phone or tablet device that runs iOS 4.3 and is connected to wireless internet. You must be in the UK to view our programmes. People in some regions will be restricted to only viewing ITV2, ITV3 and ITV4 programmes. For more information, please see our support pages. Damn! It requires 4.3 update. I'm on 4.1, and this is the first time I've seen an app require an upgrade from that. I've found 4.1 to be the most stable for jailbreaking. I always use MxTube, so I'll wait until someone recommends this app. Edit: still voted hot, though. I've been waiting for this to show up. Anyone know of a decent live TV app for ipod? Sky Go is gonna be released in a couple of days which should be decent for sky customers with iDevices too. Don't no which way to vote. Dose note work on iPod touch gen 2. It says this will not work on this iPod. I realised this just after I switched off my computer yesterday. Yes it does work on iPod. I created an icon on my homepage so that I can go directly to the site. Thanks.Anyone know of a decent live TV app for ipod? Damn! It requires 4.3 update. I'm on 4.1, and this is the first time I've … Damn! It requires 4.3 update. I'm on 4.1, and this is the first time I've seen an app require an upgrade from that.I've found 4.1 to be the most stable for jailbreaking. I always use MxTube, so I'll wait until someone recommends this app.That's why I'm finding it so hard to jb my iPhone 4.3.3. Keep getting the White Cydua icon and can't get rid of it without unjailbreaking.Edit: still voted hot, though. I've been waiting for this to show up. Just try again later. As I said up above I also have a 3rd gen ipod touch and it works fine. I got that error last night and tried it about an hour later and it was ok.
Nice enough app but couldn't find anything I wanted to watch... Bring on a 4oD app. Nice enough app but couldn't find anything I wanted to watch... Bring on … Nice enough app but couldn't find anything I wanted to watch... Bring on a 4oD app. First ever post after years looking! There is an iphone app called Skyfire that is a web browser that supports flash. I have it and its great! I found that doesn't do all of my flash sites so I use Cloud Browse. I just had a look at Cloud Browse, absolutely terrible reviews. It's totally free, just create an account.. Enjoy! yeah i have bbc iplayer app i got from cydia but im on 4.1 also and cant get itv player, but with the new release of jailbreakme.com//# , if i update with itunes to 4.33 and then re jailbreak will all be ok and will i lose my current apps ?